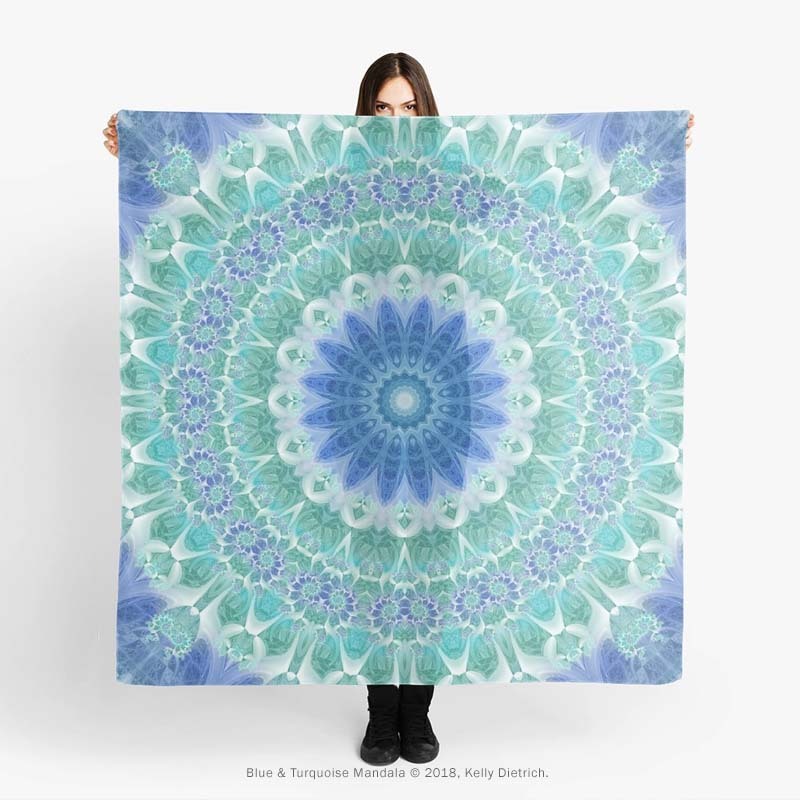 New this week - a vibrant blue, turquoise, and white mandala. It's a glorious re-color of my Pink and Purple Mandala, and (spoiler alert), there's at least one more re-color coming up! I'm just so in love with this mandala -- the floral - like center of the mandala and all the little flower - like spirals around the middle. Plus, it has such happy colors that are perfect for spring. Now, here's a few other products featuring this design that are available at Curioos. 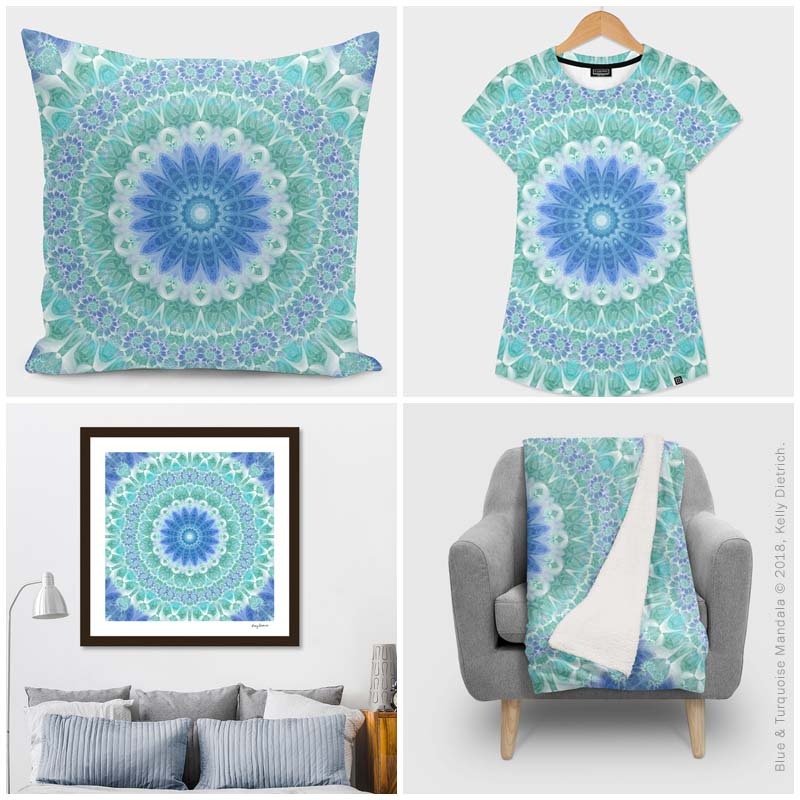 Clockwise from top left: Blue & Turquoise Mandala pillow, women's all over print t-shirt, blanket, and framed print in my Curioos shop. Check back next week to see more new mandalas and products!